CAS#: 1260141-27-2 (fumarate); 881681-00-1 (free base). A potassium-competitive acid blocker (P-CAB) used to treat gastric ulcer, duodenal ulcer and reflux esophagitis. Company Takeda Pharmaceutical Co. Ltd.
Vonoprazan (Takecab(®)) is an orally bioavailable potassium-competitive acid blocker (P-CAB) being developed by Takeda for the treatment and prevention of acid-related diseases. The drug is approved in Japan for the treatment of acid-related diseases, including erosive oesophagitis, gastric ulcer, duodenal ulcer, peptic ulcer, gastro-oesophageal reflux, reflux oesophagitis and Helicobacter pylori eradication. Phase III development is underway for the prevention of recurrence of duodenal and gastric ulcer in patients receiving aspirin or NSAID therapy. Phase I development was conducted in the UK for gastro-oesophageal reflux; however, no further development has been reported. This article summarizes the milestones in the development of vonoprazan leading to this first approval for acid-related diseases. 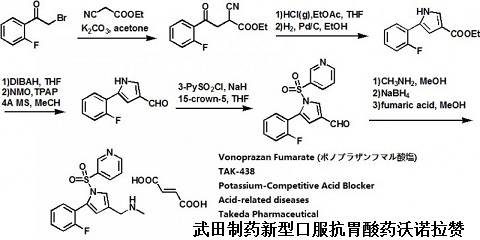 Vonoprazan Fumarate was approved by Pharmaceuticals and Medical Devices Agency of Japan (PMDA) on December 26, 2014. It was co-developed and marketed as Takecab® by Takeda & Otsuka. Vonoprazan has a novel mechanism of action called potassium-competitive acid blockers (P-CABs) which competitively inhibits the binding the potassium ions to H+, K+-ATPase (also known as the proton pump) in the final step of gastric acid secretion in gastric parietal cells. Vonoprazan provides a strong and sustained acid section inhibitory effect. It is indicated for the treatment of gastric ulcer, duodenal ulcer and reflux esophagitis. Cometriq® is available as tablet for oral use, containing 10 or 20 mg of free Vonoprazan, and the recommended dose is 20 mg orally once daily for adluts. Vonoprazan fumarate (Takecab(®)) is a first-in-class potassium-competitive acid blocker that has been available in the market in Japan since February 2015. Vonoprazan is administered orally at 20 mg once daily for the treatment of gastroduodenal ulcer, at 20 and 10 mg once daily for the treatment and secondary prevention of reflux esophagitis, respectively, at 10 mg once daily for the secondary prevention of low-dose aspirin- or non-steroidal anti-inflammatory drug-induced peptic ulcer, and at 20 mg twice daily in combination with clarithromycin and amoxicillin for the eradication of Helicobacter pylori. It inhibits H(+),K(+)-ATPase activities in a reversible and potassium-competitive manner with a potency of inhibition approximately 350 times higher than the proton pump inhibitor, lansoprazole. Vonoprazan is absorbed rapidly and reaches maximum plasma concentration at 1.5-2.0 h after oral administration. Food has minimal effect on its intestinal absorption. Oral bioavailability in humans remains unknown. The plasma protein binding of vonoprazan is 80 % in healthy subjects. It distributes extensively into tissues with a mean apparent volume of distribution of 1050 L. Being a base with pKa of 9.6 and with acid-resistant properties, vonoprazan is highly concentrated in the acidic canaliculi of the gastric parietal cells and elicited an acid suppression effect for longer than 24 h after the administration of 20 mg. The mean apparent terminal half-life of the drug is approximately 7.7 h in healthy adults. 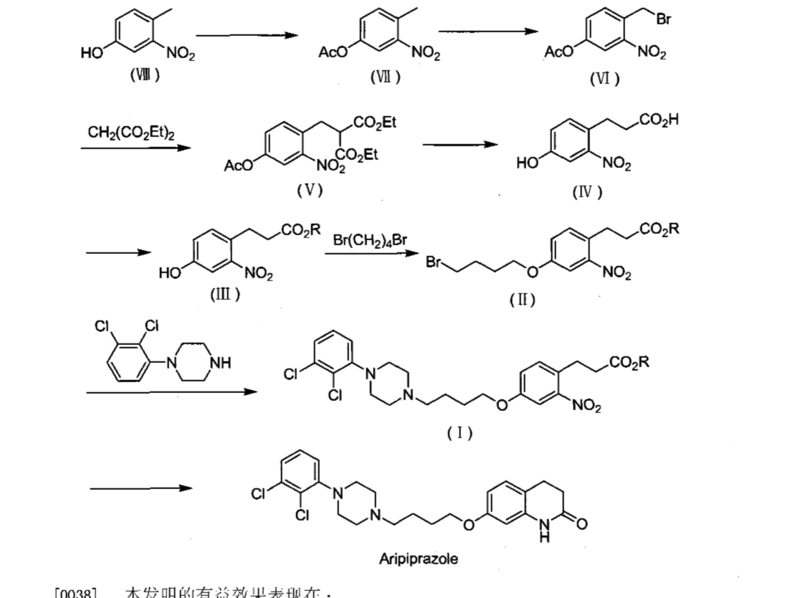 Vonoprazan is metabolized to inactive metabolites mainly by cytochrome P450 (CYP)3A4 and to some extent by CYP2B6, CYP2C19, CYP2D6, and SULT2A1. A mass balance study showed that 59 and 8 % of the orally administered radioactivity was recovered in urine as metabolites and in an unchanged form, respectively, indicating extensive metabolism. Genetic polymorphism of CYP2C19 may influence drug exposure but only to a clinically insignificant extent (15-29 %), according to the population pharmacokinetic study performed in Japanese patients. When vonoprazan was co-administered with clarithromycin, the mean AUC from time 0 to time of the next dose (dosing interval) of vonoprazan and clarithromycin were increased by 1.8 and 1.5 times, respectively, compared with the corresponding control values, indicating mutual metabolic inhibition. The mean area under the curve from time zero to infinity obtained from patients with severe liver and renal dysfunction were elevated by 2.6 and 2.4 times, respectively, compared with healthy subjects, with no significant changes in plasma protein binding. Vonoprazan increases intragastric pH above 4.0 as early as 4 h after an oral dose of 20 mg, and the extensive anti-secretory effect is maintained up to 24 h post-dose. During repeated dosing of 20 mg once daily, the 24-h intragastric pH >4 holding time ratios were 63 and 83 % on days 1 and 7, respectively. Because vonoprazan elicited a more extensive gastric acid suppression than the proton pump inhibitor, lansoprazole, it also gave rise to two to three times greater serum gastrin concentrations as compared with lansoprazole. In pre-approval clinical studies for the treatment of acid-related disorders, mild to moderate adverse drug reactions (mostly constipation or diarrhea) occurred at frequencies of 8-17 %. Neither severe liver toxicity nor neuroendocrine tumor has been reported in patients receiving vonoprazan. Vonoprazan fumarate is a first-in-class potassium-competitive acid blocker. It was approved in the Japanese market in February, 2015. Vonoprazan can be used for the treatment of gastroduodenal ulcer, reflux esophagitis, and for some drug-induced peptic ulcers. It can be combined with other antibiotics for the eradication of Helicobacter pylori. 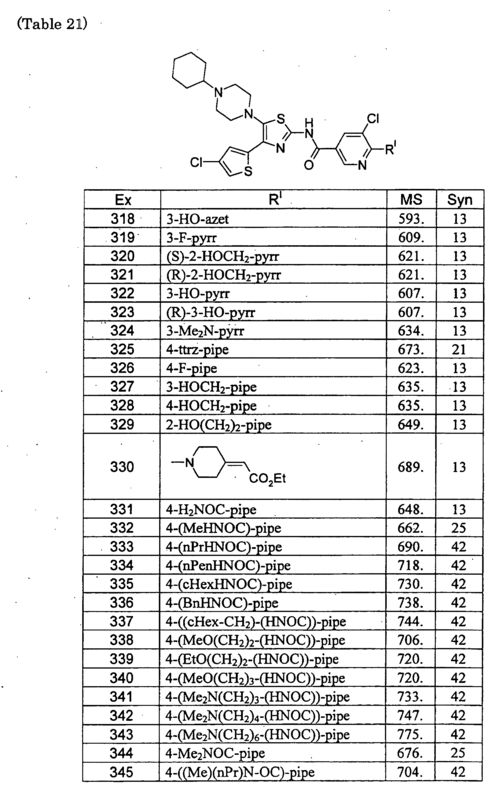 1- [5- (2-fluorophenyl) -1- (pyridin-3-ylsulfonyl) -IH- pyrrol-3-yl] -N- methylmethanamine fumarate Takeda single An R & D for the gastric acid secretion inhibitors (codename: TAK-438, generic name: vonoprazan fumarate), the drug belongs to the potassium ion (K +) competitive acid blocker (P-CAB) for a new inhibitors, with a strong, long-lasting inhibition of gastric acid secretion, while the gastric parietal cells in the final stage of gastric acid secretion by inhibiting K + for H +, K + -ATP enzyme (proton pump) binding effect on gastric acid secretion also advance termination action. 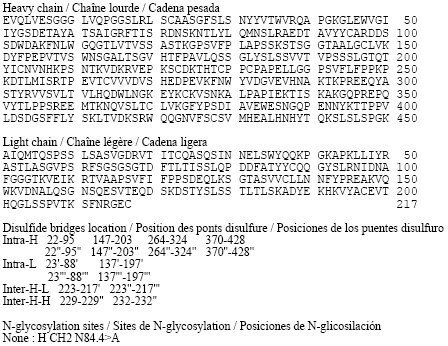 Its molecular formula is: C17H16FN3O2S · C4H4O4, MW: 461.46, the chemical structure of formula I as shown. 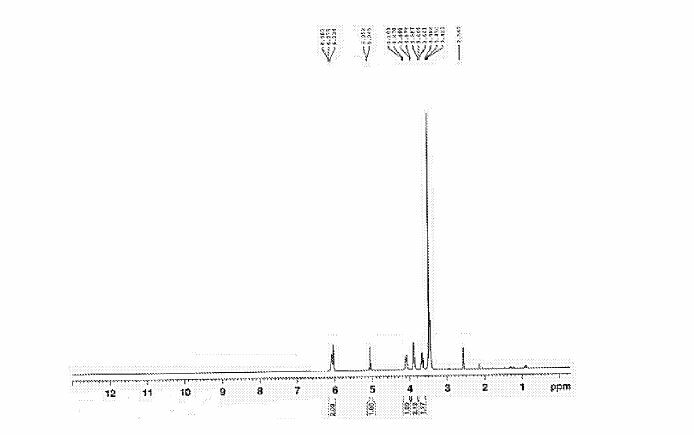 CN101300229A discloses 1- [5- (2_-fluorophenyl) -1- (pyridin-3-ylsulfonyl) -1Η- pyrrol -3-yl] -N- methylmethanamine fumarate alone, but not related to its crystalline form. A method of preparing polymorph having pyrrole derivatives maleate described in detail below. Compound II (260mg) was dissolved in tetrahydrofuran (50ml) was added 60% NaH, the reaction was stirred for 30 minutes at room temperature. Was added 15-crown–5 (I. 5g), the reaction mixture was stirred at room temperature for 1 hour and then pyridine-3-sulfonyl chloride was added, stirred at room temperature for 2 hours until complete reaction was followed by thin layer chromatography, and then was added to the reaction system 20mL saturated brine with ethyl acetate (IOOmLX2) and the combined organic phase was washed with saturated brine 50ml organic phase, an appropriate amount of anhydrous sodium sulfate, filtered, and the filtrate was concentrated under reduced pressure to give the crude compound IV (200mg) administered directly in the next reaction. The brown residue obtained in the previous step IV compound (200mg) was dissolved in 30mL methanol was added 27% -33% methyl amine solution, the reaction was stirred for 1.5 hours. Sodium borohydride (68mg), the reaction was stirred for 20 minutes, was added lmol / LHCl to an acidic aqueous solution, and stirred until complete reaction was followed by thin layer chromatography. To the reaction mixture was added saturated sodium bicarbonate solution until weakly basic system was extracted with ethyl acetate (IOOmLX2), the combined organic phases with saturated brine (50mL), dried over anhydrous Na2SO4, filtered and concentrated to give the crude product ( 208mg, yellow oil). Yield: 100%. Compound V obtained in the previous step was dissolved in 20mL of ethyl acetate, taking the mass fraction of equivalents of fumaric acid was dissolved in 2ml of methanol. Added dropwise with stirring to a solution of compound V in ethyl acetate, stirred for 30 minutes at room temperature. Then warmed to 55-65 degrees reflux one hour, cooled to room temperature and filtered to give an off-white solid was washed with cold ethyl acetate IOml and dried in vacuo to give 170mg of crystalline Compound I, about 20% overall yield. X- ray diffraction spectrum of the crystalline sample is shown in Figure 1. DSC spectrum shown in Figure 2, this polymorph is defined as A crystalline form. Fumaric Wonuo La Like (TAK-438, Vonoprazan fumarate) is Takeda Pharmaceuticals and Otsuka Pharmaceutical to launch a new type of oral anti-acid drugs. As a potassium ion (K +) competitive acid blocker (P-CAB), Wonuo La Like gastric acid secretion in the gastric parietal cells play a role in the final step, by inhibiting K + for H +, K + -ATP enzyme (proton chestnut) combine to inhibit gastric acid secretion and early termination. Compared to the current power of the proton chestnut inhibitors (PPIs), due to the absence of praise Wonuo La CYP2C19 metabolism, so the performance in clinical trials showing good effect: the treatment of gastric ulcer / duodenal ulcer, reflux esophagitis eradication of H. pylori and other effects are better than lansoprazole, while having a similar security. 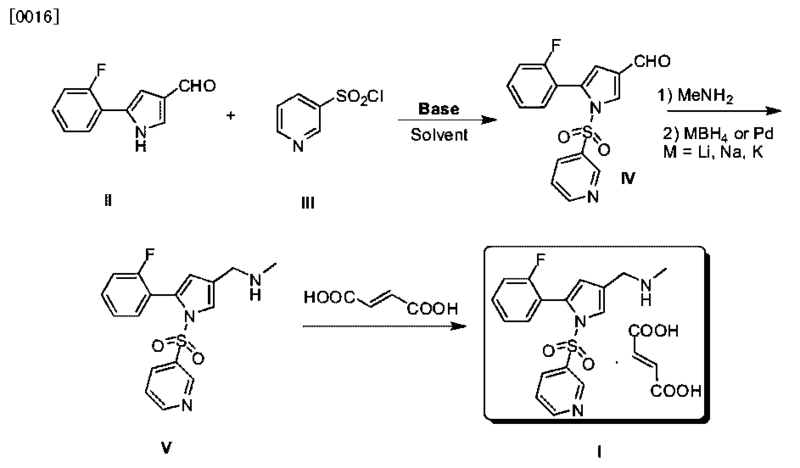 Takeda company disclosed in 2010 it 0 01,080,018,114 in improved synthetic route: Intermediate 5- (2-fluorophenyl) -I- (pyridine-3-ylsulfonyl) -IH–3 formaldehyde synthesis, instead of acetonitrile as solvent, DIEA do acid-binding agent, DMAP as catalyst, but side reactions, tedious post-processing operation, the lower the yield, the overall yield of less than 40%. Y. Arikawa et al reported that the above process step is prolonged, the probability g [J reacting a corresponding increase in the above reaction scheme conditional optimization, control side reactions is one of the present invention is to solve the problem. On the other hand the above literature after the synthesis process used in chromatography, is not conducive to fumaric Wonuo La Like industrial production. Therefore, the development of fumaric acid Wonuo La Like New synthesis process, simplify the synthesis operations, reduce costs, improve productivity, it has important implications for fumaric Wonuo La Like this one which attract anti-acid drugs. In our pursuit of developing a novel and potent potassium-competitive acid blocker (P-CAB), we synthesized pyrrole derivatives focusing on compounds with low log D and high ligand-lipophilicity efficiency (LLE) values. 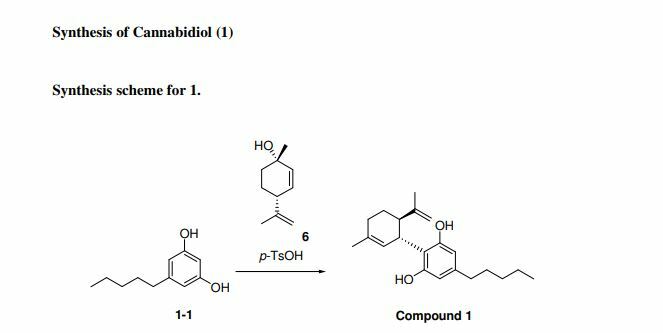 Among the compounds synthesized, the compound 13e exhibited potent H+,K+-ATPase inhibitory activity and potent gastric acid secretion inhibitory action in vivo. Its maximum efficacy was more potent and its duration of action was much longer than those of proton pump inhibitors (PPIs). 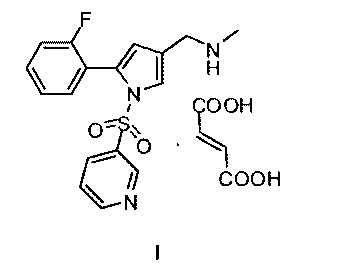 Therefore, compound 13e (1-[5-(2-fluorophenyl)-1-(pyridin-3-ylsulfonyl)-1H-pyrrol-3-yl]-N-methylmethanamine fumarate, TAK-438) was selected as a drug candidate for the treatment of gastroesophageal reflux disease (GERD), peptic ulcer, and other acid-related diseases. Osaka, Japan, May 7, 2014 — Takeda Pharmaceutical Company Limited (“Takeda”) announced today that the results of five Phase 3 trials for Vonoprazan Fumarate (development code:TAK-438) were presented at the poster session of Digestive Disease Week (DDW) being held May 3-6, 2014 in Chicago, Illinois. 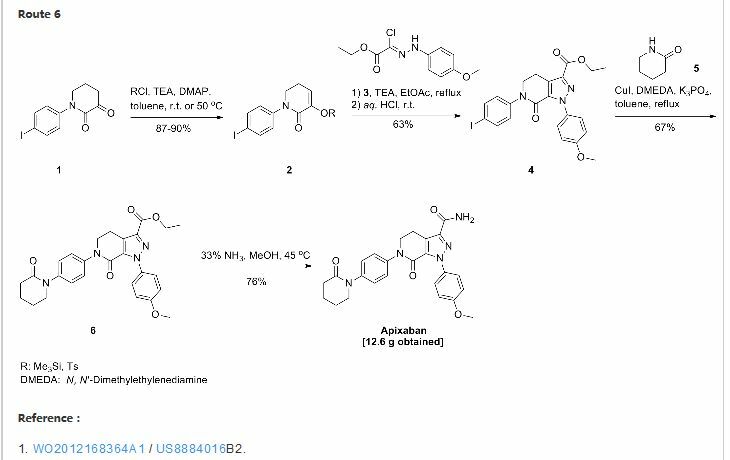 Vonoprazan Fumarate, discovered by Takeda, belongs to a new class of acid secretion inhibitors called potassium-competitive acid blockers (P-CAB). It competitively inhibits the binding of potassium ion to H+, K+-ATPase (proton pump) in the final step of gastric acid secretion in gastric parietal cells. Vonoprazan Fumarate has strong and sustained acid secretion inhibitory effects and shows efficacy from the early stages of dosing. Takeda submitted a New Drug Application in Japan in February 2014. These highlight results presented at DDW include the Phase 3 results that were submitted with the New Drug Application. Takeda aims to achieve better treatment outcomes in the field of gastrointestinal diseases and is striving to meet the medical needs of more patients. Description This study consisted of 2 periods; an observation period of 3 to 7 days and a double-blind treatment period of 8 weeks. The subjects were stratified by the baseline LA Grades (A/B or C/D) and randomized in a ratio of 1:1 to receive TAK-438 20 mg or LPZ 30 mg, once daily. The subjects with endoscopically confirmed healing of EE at Week 2, 4, or 8 were regarded as having completed the study. * EE healing was defined as endoscopically confirmed Grade O (i.e. no mucosal breaks) by investigators. ・ For the primary endpoint, the proportion of healed patients at Week 8, the non-inferiority of TAK-438 to LPZ was verified (99.0% vs. 95.5%, p＜0.0001). ・ The superiority of TAK-438 to LPZ was also verified for the proportion of healed patients at Week 8 based on the post-hoc analysis results (p=0.0337). ・ The difference in the proportion of healed patients between the 4-week treatment of TAK-438 and the 8-week treatment of LPZ (TAK-438 group – LPZ group) was 1.1% (96.6% vs. 95.5%). The lower limit of the 95% CI of the difference was above -10% (=the lower limit of the non-inferiority margin for the primary analysis), which indicated the non-inferiority of TAK-438 4W to LPZ 8W. ・ Notably, the differences in the proportion of healed patients between TAK-438 group and LPZ group were large in the subgroups of CYP2C19-EM (98.9% vs. 94.5%) and LA Grade C/D (98.7% vs. 87.5%) . ・ The incidences of AEs, drug-related AEs, AEs leading to study drug discontinuation, and serious AEs were comparable between the groups. ・ Nasopharyngitis was most commonly reported TEAE in both groups (TAK-438, LPZ: 3.4%, 4.0%). The incidences of other TEAEs by PT were ≦ 2%. Description Subjects with EE of LA Grade A to D received TAK-438 20 mg once daily for 2, 4, or 8 weeks during the treatment period. If EE healing was confirmed, the subject was stratified by the baseline LA grade (A/B or C/D) and randomized in a ratio of 1:1:1 to receive TAK-438 in doses of 10 mg, 20 mg, or LPZ 15mg, once daily, in a 24-week maintenance period. Once EE recurrence was endoscopically confirmed, the subject discontinued the study. Primary endpoint Proportion with recurrence at Week 24 *EE recurrence was defined as endoscopically confirmed LA Grade A to D by investigators. ・ For the primary endpoint, the proportion with recurrence at Week 24, the non-inferiority to LPZ was verified for both TAK-438 groups. The proportion was 16.8%, 5.1%, 2.0% in the LPZ 15 mg, TAK-438 10 mg and TAK-438 20 mg, respectively (p＜0.0001). ・ The superiority to LPZ was also verified for both TAK-438 groups for the proportion with recurrence at Week 24 based on the post-hoc analysis results. (LPZ 15 mg vs. TAK-438 10 mg: p=0.0002, LPZ 15 mg vs. TAK-438 20 mg: p＜0.0001). ・ Notably, the differences in the proportion with recurrence between each TAK-438 group and LPZ group were large in the subgroups of CYP2C19-EM (LPZ 15 mg, TAK-438 10 mg, TAK-438 20 mg: 19.6%, 5.4%, 1.8%) and LA Grade C/D (LPZ 15 mg, TAK-438 10 mg, TAK-438 20 mg: 39.0%, 13.2%, 4.7%). ・ The incidences of AEs, drug-related AEs, AEs leading to study drug discontinuation, and serious AEs in the maintenance period were comparable among the groups. ・ Nasopharyngitis was the most commonly reported TEAE in all groups (LPZ 15 mg, TAK-438 10 mg, TAK-438 20 mg: 13.9%, 16.8%, 13.2%). ・ Serum gastrin increased to the greatest degree in TAK-438 20 mg group, followed by TAK-438 10 mg group, and LPZ group. On the other hand, no obvious difference among the groups in gastric mucosa histopathologic tests were observed during the study. The increase in serum gastrin observed during the study did not cause any adverse effects on the gastric mucosa as evidenced by histopathological testing. Description Patients receive NSAID with TAK-438 in doses of 10 mg, 20 mg, or LPZ 15 mg, once daily. Primary Endpoint The proportion of patients with recurrent GU or DU confirmed with endoscopy at Week 24. ・ At Week 24, non-inferiority of TAK-438 10 mg and 20 mg to LPZ 15 mg was verified for the proportion of patients with recurrent peptic ulcers (LPZ 15 mg, TAK-438 10 mg, TAK-438 20 mg: 5.5%, 3.3%, 3.4% : p＜0.0001 vs. LPZ 15 mg). The proportion of patients with recurrent peptic ulcers in the TAK-438 10 mg and 20 mg through week 24 was slightly lower than in the LPZ 15 mg, although no statistically significant differences were observed. ・ The proportion of patients with the development of hemorrhagic lesion in stomach or duodenum was slightly lower in each TAK-438 group than in LPZ 15 mg through 24 weeks, but no statistically significant differences were observed (LPZ 15 mg, TAK-438 10 mg, TAK-438 20 mg at Week 24 : 2.0%, 1.4%, 1.0%).  The proportion of cumulative incidences of GU/DU or hemorrhagic lesion was lower in each TAK-438 group than in LPZ 15 mg group. ・ The incidence of treatment emergent adverse events (TEAEs) was almost similar across the treatment groups. ・ The most commonly reported TEAE was nasopharyngitis in all the treatment groups (LPZ 15 mg, TAK-438 10 mg, TAK-438 20 mg: 18.6%, 22.9%, 18.4%). ・ Serum gastrin of patients in each TAK-438 group was higher compared to that in LPZ 15 mg group, and degree of increase was dose-dependent. Serum gastrin increased at Week 4 in all treatment groups, no obvious increasing tendency was observed thereafter, and it was almost stable until Week 24. Description Patients receive LDA with TAK-438 in doses of 10 mg, 20 mg, or Lansoprazol (LPZ) 15 mg, once daily. ・ At Week 24, non-inferiority of TAK-438 10 mg and 20 mg to LPZ 15 mg was verified for the proportion of patients with recurrent peptic ulcers (LPZ 15 mg, TAK-438 10 mg, TAK-438 20 mg: 2.8%, 0.5%, 1.5% : p＜0.0001 vs. LPZ 15 mg). The proportion of patients with recurrent peptic ulcers in the TAK-438 10 mg and 20 mg through 24 weeks was slightly lower than in the LPZ 15 mg, although no statistically significant differences were observed. ・ The proportion of patients with the development of hemorrhagic lesion in stomach or duodenum was significantly lower in each TAK-438 groups than in LPZ 15 mg through 24 weeks, and higher prevention effect on hemorrhagic lesion was observed (LPZ 15 mg, TAK-438 10 mg, TAK-438 20 mg at Week 24 : 2.9%, 0.0%, 0.0% : p=0.0129 vs. LPZ 15 mg). ・ The proportion of cumulative incidences of GU/DU or hemorrhagic lesion at Week 24 was lower in each TAK-438 group than in LPZ 15 mg group, and statistically significant differences were observed (p=0.0066: TAK-438 10 mg vs. LPZ 15 mg, p=0.0471: TAK-438 20 mg vs. LPZ 15 mg). ・ The incidence of treatment emergent adverse events (TEAEs) was almost similar across the treatment groups. ・ The mostly commonly reported TEAE was nasopharyngitis in all the treatment groups (LPZ 15 mg, TAK-438 10 mg, TAK-438 20 mg: 17.1%, 14.9%, 20.3%). Description 650 eligible subjects were randomly allocated at a 1:1:1:1 ratio to receive one of four 7-day courses as the first line therapy; TAK-438 (20 mg b.i.d. ), AMPC (750 mg b.i.d.) and CAM (200 mg b.i.d. or 400 mg b.i.d. ), or LPZ (30 mg b.i.d. ), AMPC (750 mg b.i.d.) and CAM (200 mg b.i.d. or 400 mg b.i.d.). 50 of 101 subjects for whom the first line eradication had failed in this study received additional 7-day course of TAK-438 (20 mg b.i.d. ), AMPC (750 mg b.i.d.) and MNDZ (250 mg b.i.d.) as the second line therapy. More than 4 weeks after the treatment, eradication was evaluated by using 13C urea breath test. ・ In the analysis of primary endpoint, H. pylori eradication rate, the non-inferiority of the first line therapy with TAK-438 to that with LPZ was verified using the Farrington and Manning test with a non-inferiority margin of 10% (Eradication rate: with TAK-438: 92.6% [300/324], with LPZ: 75.9% [243/320], p < 0.0001). Based on the additional analysis, the superiority of the first line therapy with TAK-438 to that with LPZ was confirmed (p < 0.0001). In the subjects who were treated by the second line therapy with TAK-438, the H. pylori eradication rate was also high (98.0% [49/50]). ・ The H. pylori eradication rates were significantly higher in the first line therapy with TAK-438 than that with LPZ in the subjects with EMs for CYP2C19 (with TAK-438: 92.9% [250/269], with LPZ: 75.0% [204/272]) and the subjects with a CAM MIC of ≥ 1 μg/mL, CAM resistance (with TAK-438: 82.0% [82/100], with LPZ: 40.0% [46/115]). The doses of CAM did not affect the H. pylori eradication rate with the first line therapy (200 mg b.i.d: with TAK-438: 93.3% [152/163], with LPZ: 78.7% [129/164], 400 mg b.i.d : with TAK-438: 91.9% [148/161], with LPZ: 73.1% [114/156]). ・ In the first line therapies, the overall incidences of Treatment-Emergent Adverse Events (TEAEs), drug-related TEAEs, TEAEs leading to study drug discontinuation and serious TEAEs were comparable between both therapies. In the second line therapy, those were similar to those of the first line therapies. ・ Serious TEAEs were reported from 6 subjects in the first line therapies and 1 subject in the second line therapy. In the first line therapy with TAK-438, 1 serious TEAE, acute myocardial infarction, was assessed as related to the study drug. All the other serious TEAEs in the first line therapies and all the serious TEAEs in the second line therapy were assessed as not related to the study drug by the investigators. 1: Arikawa Y, Nishida H, Kurasawa O, Hasuoka A, Hirase K, Inatomi N, Hori Y, Matsukawa J, Imanishi A, Kondo M, Tarui N, Hamada T, Takagi T, Takeuchi T, Kajino M. Discovery of a novel pyrrole derivative 1-[5-(2-fluorophenyl)-1-(pyridin-3-ylsulfonyl)-1H-pyrrol-3-yl]-N-methylmethanamin e fumarate (TAK-438) as a potassium-competitive acid blocker (P-CAB). J Med Chem. 2012 May 10;55(9):4446-56. doi: 10.1021/jm300318t. Epub 2012 Apr 30. PubMed PMID: 22512618. 2: Kondo M, Kawamoto M, Hasuoka A, Kajino M, Inatomi N, Tarui N. High-throughput screening of potassium-competitive acid blockers. J Biomol Screen. 2012 Feb;17(2):177-82. doi: 10.1177/1087057111421004. Epub 2011 Sep 22. PubMed PMID: 21940711. 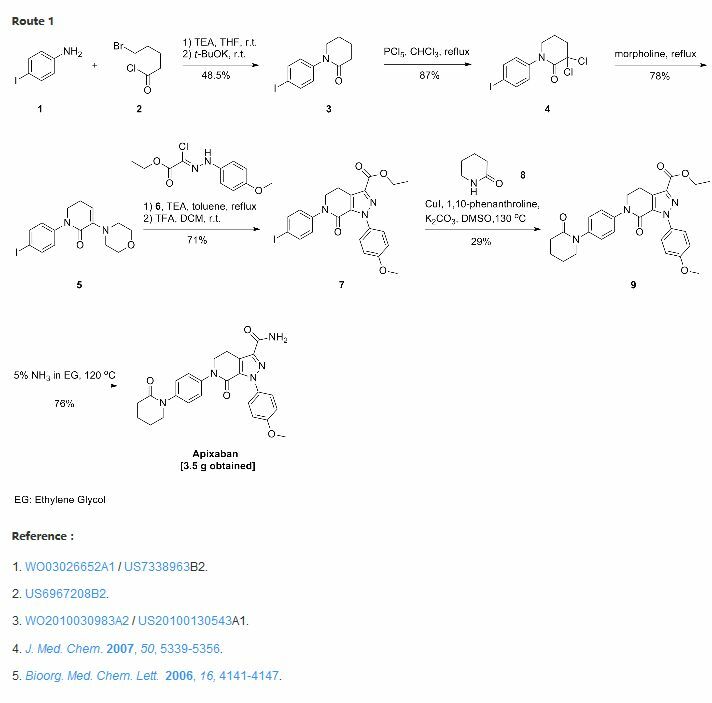 3: Shin JM, Inatomi N, Munson K, Strugatsky D, Tokhtaeva E, Vagin O, Sachs G. Characterization of a novel potassium-competitive acid blocker of the gastric H,K-ATPase, 1-[5-(2-fluorophenyl)-1-(pyridin-3-ylsulfonyl)-1H-pyrrol-3-yl]-N-methylmethanamin e monofumarate (TAK-438). J Pharmacol Exp Ther. 2011 Nov;339(2):412-20. doi: 10.1124/jpet.111.185314. Epub 2011 Aug 9. PubMed PMID: 21828261; PubMed Central PMCID: PMC3199995. 4: Hori Y, Matsukawa J, Takeuchi T, Nishida H, Kajino M, Inatomi N. A study comparing the antisecretory effect of TAK-438, a novel potassium-competitive acid blocker, with lansoprazole in animals. J Pharmacol Exp Ther. 2011 Jun;337(3):797-804. doi: 10.1124/jpet.111.179556. Epub 2011 Mar 16. PubMed PMID: 21411494. 5: Matsukawa J, Hori Y, Nishida H, Kajino M, Inatomi N. A comparative study on the modes of action of TAK-438, a novel potassium-competitive acid blocker, and lansoprazole in primary cultured rabbit gastric glands. Biochem Pharmacol. 2011 May 1;81(9):1145-51. doi: 10.1016/j.bcp.2011.02.009. Epub 2011 Mar 1. PubMed PMID: 21371447. 6: Hori Y, Imanishi A, Matsukawa J, Tsukimi Y, Nishida H, Arikawa Y, Hirase K, Kajino M, Inatomi N. 1-[5-(2-Fluorophenyl)-1-(pyridin-3-ylsulfonyl)-1H-pyrrol-3-yl]-N-methylmethanamin e monofumarate (TAK-438), a novel and potent potassium-competitive acid blocker for the treatment of acid-related diseases. J Pharmacol Exp Ther. 2010 Oct;335(1):231-8. doi: 10.1124/jpet.110.170274. Epub 2010 Jul 12. PubMed PMID: 20624992. 1 “Vonoprazan: first global approval. – PubMed – NCBI”. Ncbi.nlm.nih.gov. 2015-09-28. Retrieved 2016-03-30. “The First-in-Class Potassium-Competitive Acid Blocker, Vonoprazan Fumarate: Pharmacokinetic and Pharmacodynamic Considerations. – PubMed – NCBI”. Ncbi.nlm.nih.gov. 2015-09-28. Retrieved 2016-03-30. By DR ANTHONY MELVIN CRASTO Ph.D in Japan marketing, Japan pipeline on April 24, 2016 .